Today in Masonic History Henry "Harry" Lauder passes away in 1950. Henry "Harry" Lauder was a Scottish entertainer. Lauder was born on August 4th, 1870 in Portobello, a coastal suburb of Edinburgh, Scotland. In early 1882, when Lauder was still eleven, his father passed away suddenly leaving the family with financial problems. Lauder's mother moved the family to Arbroath, her home town, on the North Sea in Scotland. Because of where they were living, education had to be paid for, so Lauder took a part time job to pay for his education. Eventually the family moved to Hamilton in the Scottish Lowlands where his maternal uncle lived. His uncle got him a job working in the local coal mines. While working in the mines, Lauder entered the other miners by singing to them. He was encouraged by many of his fellow miners to tour music halls. It wasn't until he had his first paying performance, 5 shillings, that he started to seriously consider it. It took him booking a few more gigs before he was convinced to go on tour around Scotland. The tour allowed him to quit the coal mine. 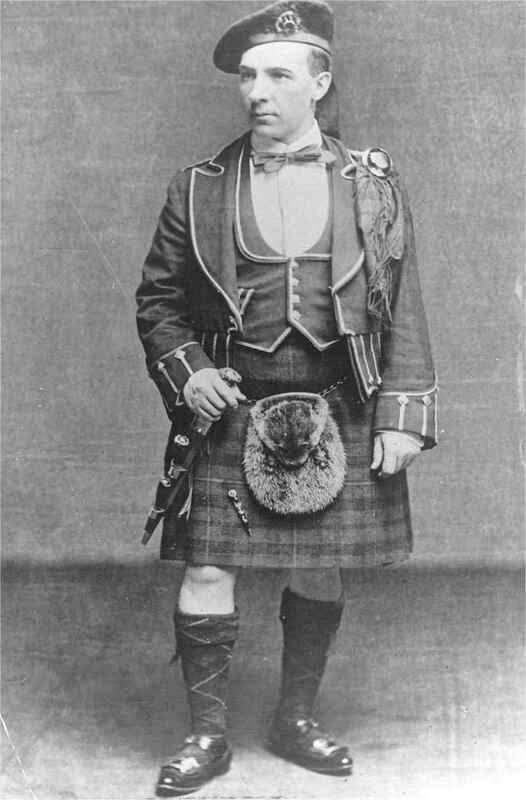 His act consisted of Scottish and Irish songs and comedic routines. By 1894, Lauder had turned professional. In 1900 he traveled to London and changed his dialect to fit the metropolitan audience. In 1907 he went on tour in the United States. Over the next couple of decades he traveled around the world on tour, making 22 visits in total to the United States and even had his own train for some of his tours. He also traveled to Melbourne where his brother had emigrated to years earlier. In the years leading up to World War I he also had at least two Royal performances before Edward VII and George V.
When World War I broke out, Lauder traveled around encouraging people to enlist and serve in the war. He stated in 1915 "I know that I am voicing the sentiment of thousands and thousands of people when I say that we must retaliate in every possible way regardless of cost. If these German savages want savagery, let them have it." Tragedy struck Lauder in 1916 when his only son was killed in combat. It was from this event that Lauder wrote the song "The End of the Road." Despite the tragedy, Lauder continued to support the war effort and more especially those who served. He created the Harry Lauder Million Pound Fund which provided support for returning soldiers who were wounded or just needed assistance moving back into civilian life. Winston Churchill said that Lauder, "... by his inspiring songs and valiant life, rendered measureless service to the Scottish race and to the British Empire." Between the end of World War I and the beginning of World War II, Lauder performed in variety of ways including several movies. One of which was a film called "The End of the Road," which doesn't seem to have much to do with his song. The movie is a dramatic comedy that follows a woman who ends up married to drunk. He also wrote several books most were stories and anecdotes from his travels. He retired from entertaining in the mid-1930s. When World War II broke out, Lauder came out of retirement to once again support the troops. Lauder passed away on February 26th, 1950. Lauder was a member of Lodge Dramatic, No.571 in Glasgow, Scotland. He joined as he was touring in 1897.